Have you or someone you know been told “this is as good as you’re going to get?” after a neurological illness or injury? After discharge from the NHS you may feel alone and not know what your next steps are. At MOTIONrehab we are able to help you achieve your full rehabilitation potential giving you a sense of control and independence. Your rehabilitation program starts with a comprehensive consultation and assessment to identify areas of difficulty and challenge. Working in partnership with our clients we draw up a therapy plan to achieve individual goals, whether it be getting in and out of bed or running a marathon. 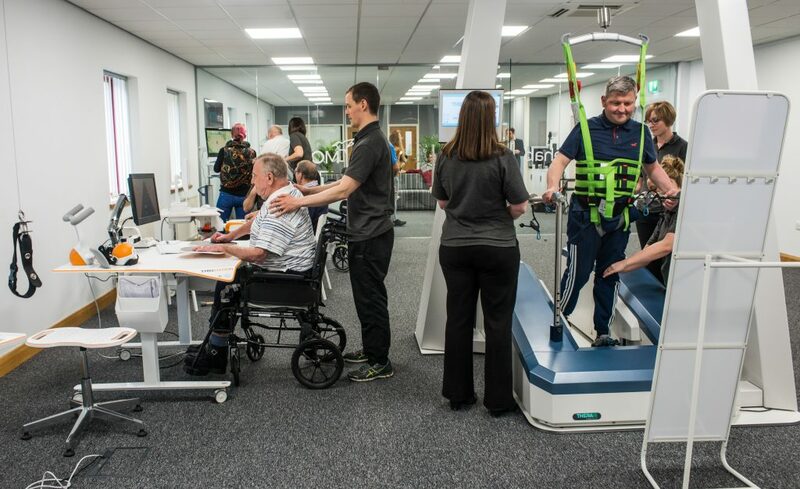 We focus on high quality patient centred rehabilitation with ‘hands on’ treatment. We have some of the UK’s leading rehabilitation technology which can be appropriately incorporated into your rehabilitation plan. MOTIONrehab accepts self-referrals and is happy to works in partnership with GP, Consultants and other professionals.